On November 7 and 8 Jubilee USA held its Annual National Council Meeting to inform constituents about the crisis in Puerto Rico, responsible lending and borrowing practices in the developing world, especially in Somalia, and Africa’s new debt crisis. Jubilee USA is a coalition of diverse organizations and international partners including faith communities who advocate for debt cancellation for the world’s most impoverished countries. They also promote fiscal responsible economic policies. Missionary Oblates of Mary Immaculate JPIC has long been a participating member of Jubilee USA. Staff recently attended the 2018 council meeting held at the Methodist building on Capitol Hill in Washington DC. The annual meeting events included a congressional briefing on November 7 focused on the theme; Lifting Vulnerable Communities: Ensuring Access to Medicines in Trade and Agreements and US Policy. Presenters at the Jubilee USA council meeting were representatives from American Friends Service Committee (AFSC), Puerto Rico Coalition on the Debt and American Federation of Labor and Congress of Industrial Organizations (AFL-CIO). Panelists reminded attendees of the urgency of the Puerto Rico debt crisis and their recovery efforts, and the growing debt crisis in Somalia and other nations in Africa. Engage with Jubilee USA by participating in Jubilee Weekend 2018. Join other Religious groups and partners in a weekend of reflection, prayers and actions to end extreme poverty and transform our global economic system. Washington DC – A religious development group is organizing thousands of calls to Congress on Wednesday, April 27 to urge action on Puerto Rico’s debt crisis. Jubilee USA, which is organizing the “Call Congress” day, says constituents are asking for legislation that brings the debt to payable levels, reduces child poverty and respects local democracy. HR 4900, the Puerto Rico Oversight, Management and Economic Stability Act (PROMESA), was introduced by Representative Sean Duffy (R-WI) on April 14 and Jubilee advocates that legislation should pass with several improvements. The call-in campaign will urge Congress to include comprehensive debt restructuring tools in its legislation. Groups running anti-PROMESA ad campaigns oppose those tools as “a bailout” though they do not involve taxpayer money. 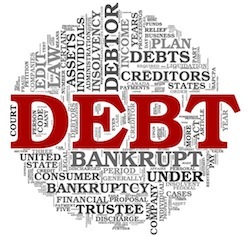 Puerto Rico owes $72 billion in debt but cannot access Chapter 9 bankruptcy protection and cannot restructure its debt through its own court system unless the US Supreme Court overturns an existing ruling this June. The campaign will call for PROMESA to include language setting clear targets for reducing Puerto Rico’s nearly 60% child poverty rate. Four out of every five children living in Puerto Rico live in “high-poverty” areas. The campaign further asks that PROMESA respect democracy in Puerto Rico. Despite a disappointing no vote from the United States, the UN General Assembly earlier today voted 124 – 11 to begin negotiations for an international bankruptcy process to end global inequality. The process can potentially stop vulture funds from preying on vulnerable countries and create a global economy that serves all of us. Unfortunately, the United States government was one of only 11 countries to vote against this treaty process. While the US government is against predatory behavior, they are against this approach. We have much work left to do because today’s UN vote will not outlaw global predatory activity in the United States, one of the most important financial jurisdictions. Read Jubilee USA’s press release and analysis of the vote here. Yesterday, we asked you to contact United States UN Ambassador Power and urge her to support the resolution, and we thank everyone who spoke out on this issue. Thousands of faxes, calls and emails were sent to Ambassador Power in response to this request from Jubilee USA and Network members. Churches, synagogues, the AFL-CIO and dozens of Catholic religious orders joined you and amplified our message. On Tuesday, the United Nations General Assembly could vote on a resolution to not only stop vulture funds, but to actually prevent the world’s poorest economies from defaulting. A majority of countries support it – thanks to the work we have done together, the world is largely united against predatory behavior. Yesterday, Jubilee’s executive board officers sent a letter to the United States UN Ambassador Samantha Power urging her to support this resolution. Please pray for Ambassador Power as she weighs her vote, and we hope your entire faith community will pray for the UN process this weekend. We would be honored if you would share your prayers with us by replying to this email. Can you please contact Ambassador Power, urge her to vote for resolution A/68/L.57 and let her know she is in your prayers? This resolution is an opportunity to win a financial reform Jubilee USA has championed since our inception: an international bankruptcy process for countries. As the Argentina case highlights so clearly, we need a bankruptcy system to stop predators and end the specter of default. Winning this resolution moves us closer to building an economy that serves, protects and promotes participation of the most vulnerable. Please contact Ambassador Power, urge her to vote for resolution A/68/L.57 and let her know she is in your prayers. Jubilee USA Network, a religious anti-poverty coalition, along with 78 other religious and development groups filed with the US Supreme Court in the case between Argentina and NML Capital. The Amicus Curiae brief takes the side of Argentina because the precedent of the case impacts predatory behavior on vulnerable populations. The friend-of-the-court brief argues that the case will have a detrimental impact on the poor, undo bipartisan United States debt policy and cause global financial instability. Filers joining Jubilee USA include: American Jewish World Service, Church World Service, Action Aid USA, numerous synagogues and churches across the US and a large number of Catholic religious orders of nuns and priests, including the Missionary Oblates. Read the full list of the 79 groups and Jubilee USA’s Amicus Curiae.